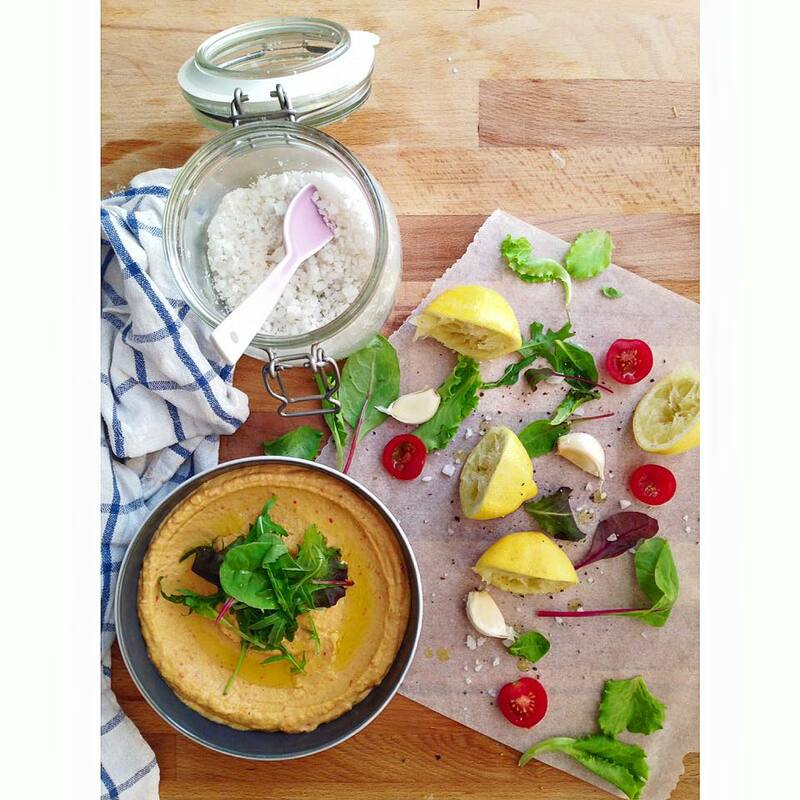 In the light of my Ramadan recipes I can`t skip the all time favorite hummus. This time with a healthy twist. Adding roasted pepper gives the hummus smokey flavor and makes it a great starter. The key for good hummus is to have fresh ingredients. 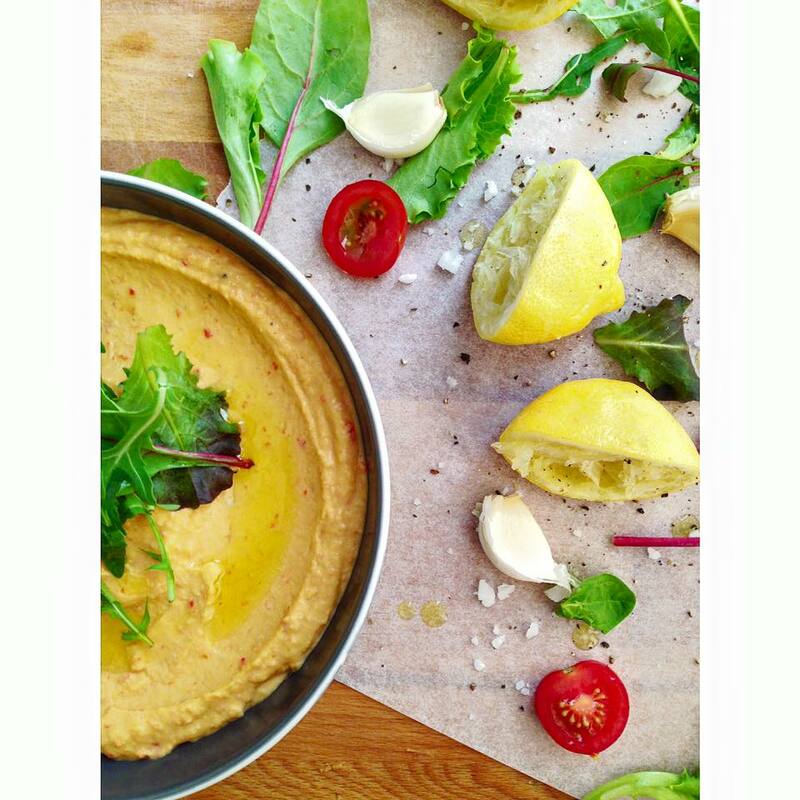 Hummus must have smooth texture and zesty notes. I made mine for no time and ate it with flat bread and green salad. 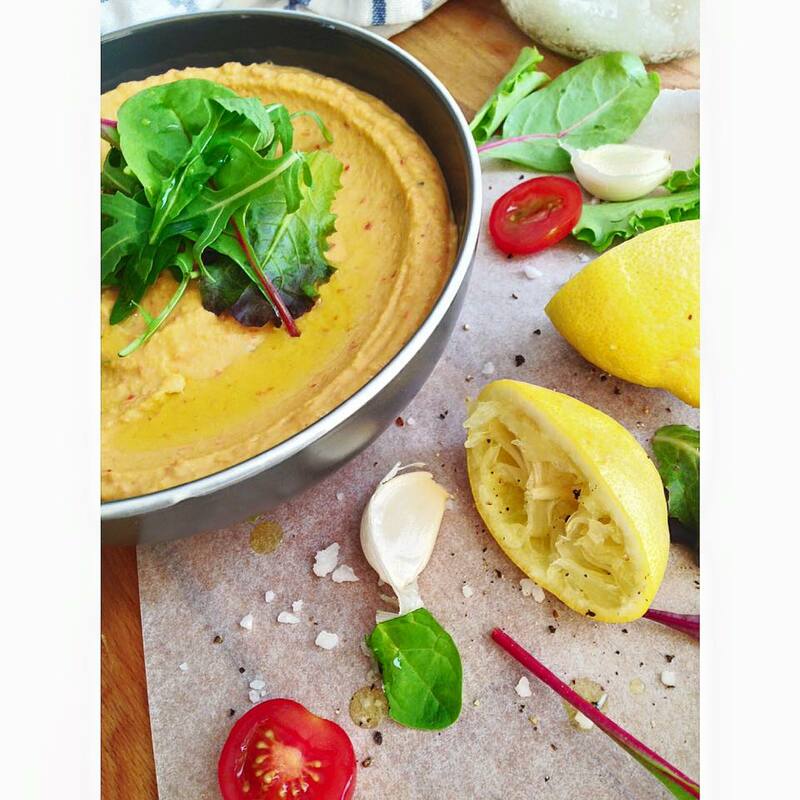 Hummus is healthy and vegan as well! 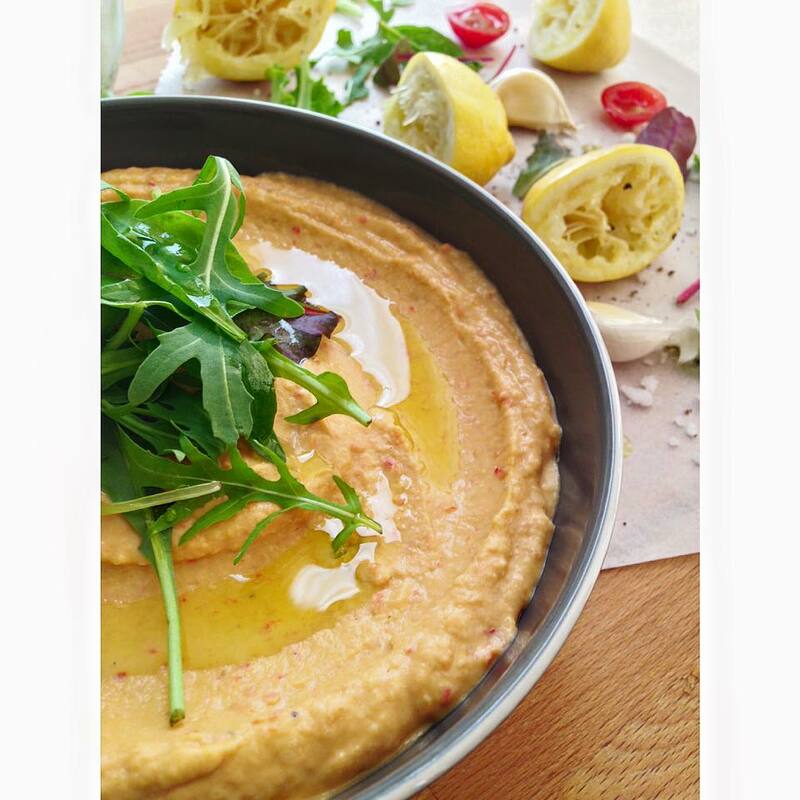 Tip: Don`t skip the generous amount of good quality olive oil to top your hummus as this gives extra flavor and it`s great to dip your bread in. 2. Mix all the ingredients and blend together until smooth. Love this hummus!!! I’ve made it with paprika creme – have you ever heard of this product? It’s Hungarian, and it’s simply a puree of roasted peppers. Saves on a little work! My husband loves when I roast any kind of peppers! It’s better than incense!